The twin blue building is “Bank Indonesia”, a central bank. 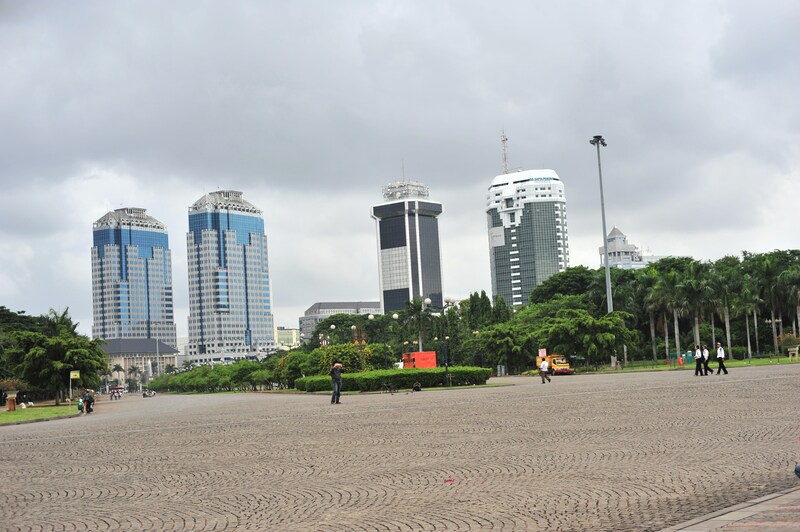 The next building (the black one) is belong to PT Telkom, a government own telecommunication company. The building right to it is belong to PT Indosat, another telecommunication company. It used to be own by government but I believe today most of the share is belong to a Singapore company.